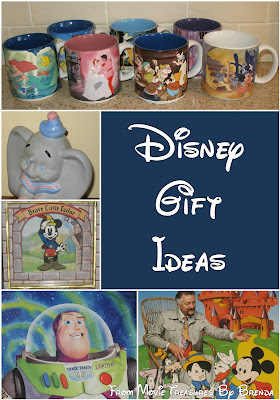 Over the years the Walt Disney company has created an endless variety of merchandise. Some of that merchandise was meant to be collected and displayed but there was also a lot of merchandise that was meant to be used every day like coffee mugs, board games, bedding and clothing. Therefore, finding those pieces in good condition can be challenging since they were often used and then discarded. Whether you are shopping for new Disney merchandise or for used and vintage pieces, you will find some interesting items in my eBay store. 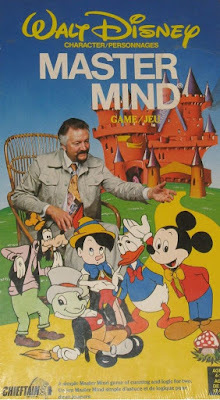 I have chosen to highlight three great gift ideas that I have had the privilege of selling in the past: a trinket box, a limited edition snowglobe and a Disney-version of the popular vintage game, Mastermind. Read on to learn more about those items and to find other interesting gift ideas. Follow this link to see all of the Disney treasures I currently have in my eBay store. In 1929, the Walt Disney Company adopted the name Walt Disney Productions, which it used until 1986. Therefore, when you are shopping for vintage Disney memorabilia, an older piece will read "Walt Disney Productions" and will not be made in China. 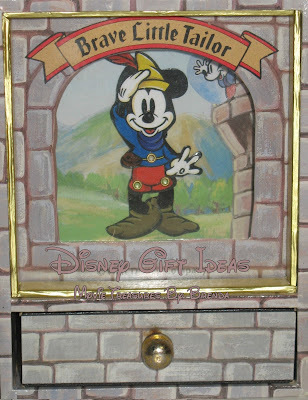 This Brave Little Tailor Mickey Mouse musical trinket box is a highly unusual item from Walt Disney Productions. It is as cute as can be but is very hard to find on eBay. However, there are a lot of wonderful Disney-themed trinket boxes to choose from including the ones shown in this live feed from eBay. Of course, ever since Disney switched away from using the name Walt Disney Productions there has been a host of new collectibles and toys produced. The limited edition snowglobe shown here is but one example. 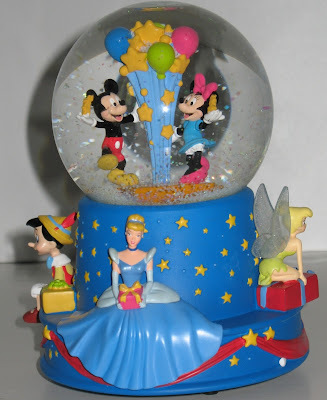 Called the Disney Musical Birthday Water Globe, it was a joint production by Disney and Hallmark to celebrate the 100th anniversary of Walt Disney. It is simple and it is obvious once you think about it. Buy your Disney souvenirs before or even after your visit to Disney. This is an option that more and more people are taking. A good friend buys matching Disney t-shirts for her three girls before they go on vacation. The girls love wearing their new shirts on their vacation and the parents save some money at the same time. An added bonus? The girls are easier to spot in a crowd if they are all wearing matching t-shirts. When you shop at my eBay store, you can rest assured that you are dealing with a top-rated eBay seller for whom customer service is top priority. I am here, ready and willing to answer your questions and to process your order and put it in the mail the very next business day. 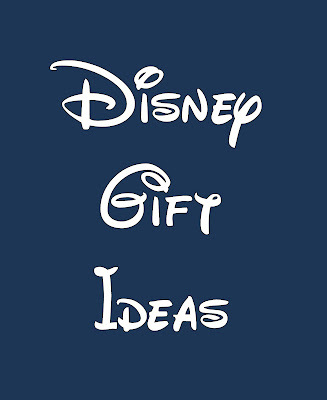 I hope you will be visiting my eBay store, Treasures By Brenda, to see what Disney treasures I have in store for you.